Sandakan for being a seafood town, access to all sort of seafoods are easy. 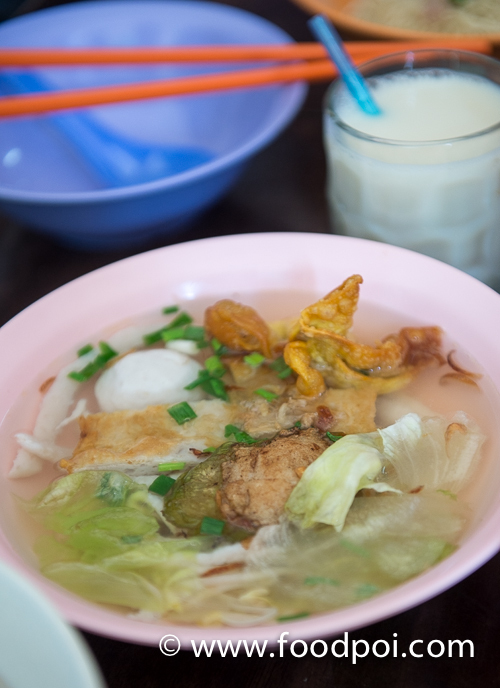 One of the local favorite kopitiam here are famous for their breakfast made entirely from fish balls. 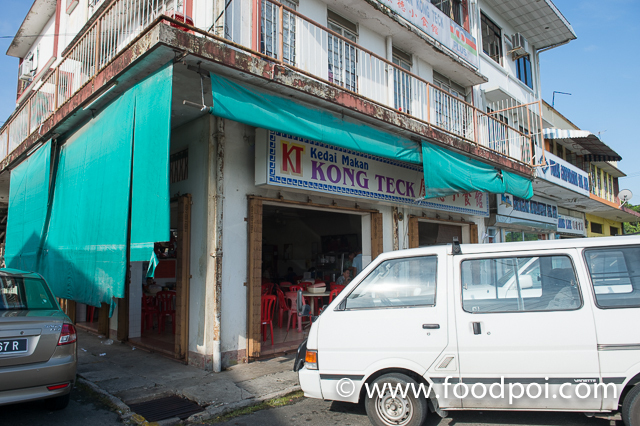 The kopitiam is located next to a housing area and slightly outskirt from the town center. Most of the customers here are locals and regulars to this place. The food are very healthy and a couple of varieties for you to rotate if you patron here daily. Clear soup fish balls selections. 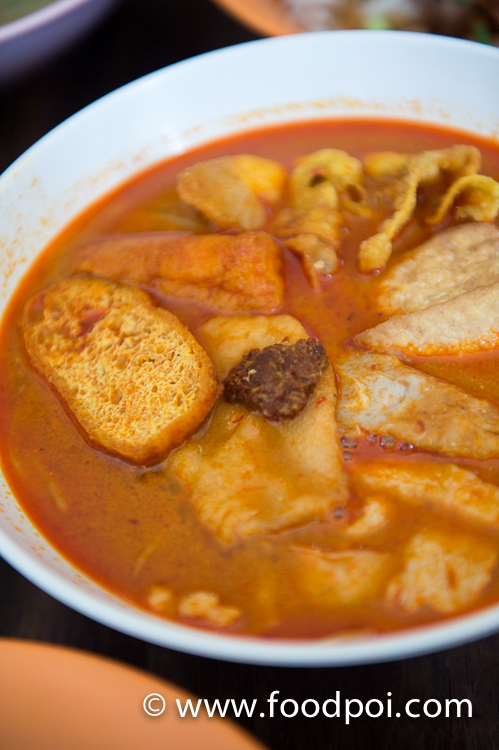 The fish balls were made at the back of the store daily and the soup base are cooked using the fishes and pork bones. 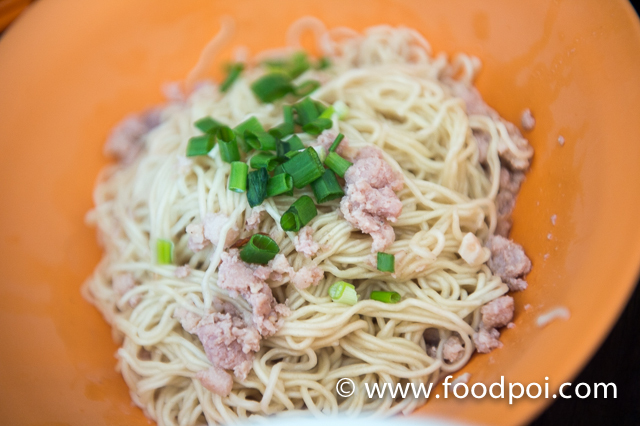 Kolo mee like mince meats Hakka noodle. The noodle texture a bit soft compared to the springy wantan mee that I like. 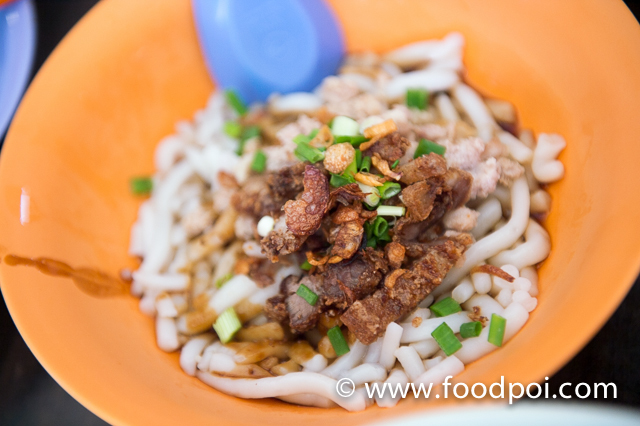 The minced meats were cooked with light seasonings and perfect to complement the tasteless noodles. 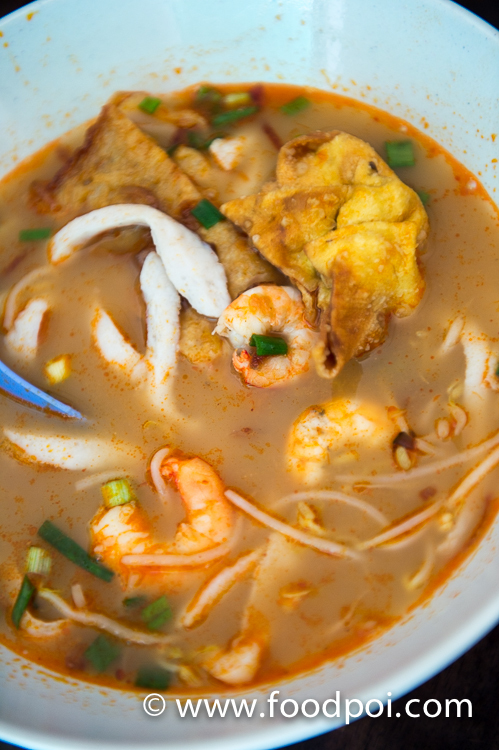 Look at the koey teow look sliced fish balls. 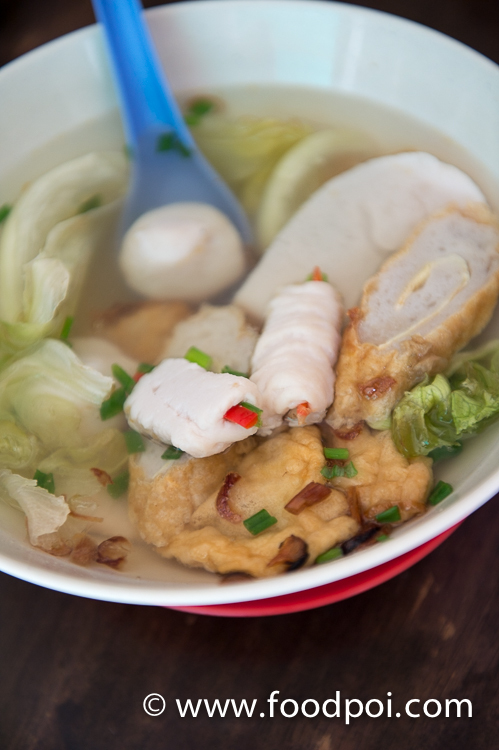 They purposely slice the fish ball to koey teow look and then cook with prawn soup and then topped with some fried fish balls yong tau fu. You can opt for curry soup base too which is kinda mild for my liking. The springy fish ball noodle where you always get in KL are origin from here. The original are more springy as it is made purely from mackerel fish balls. Since I got a bowl of fish ball soups as a sideline, I opt this dried version. Pork lards were added and I finish this bowl the fastest. My fish ball soup mix sidelines. 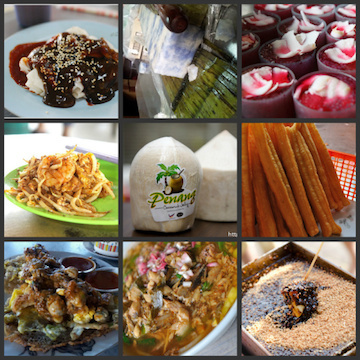 This food trip were organised and host by Four Points By Sheraton Sandakan.